I’ve had “blog about Comic Con” on my to-do list for a few weeks now and tonight I’m going to make myself sit here and write! I am going to need some notes when I finally get around to scrapping the epicness that New York Comic Con 2013! My day was busy before I even went over to NYC. I got a hair cut and then I went to see Gravity with Randi and Maddie. They have Baby Pictures screenings at one of our local theaters and it was all pretty cool. The movie was so crazy and intense. Great job Sandy Bullock! And the babies were all pretty chill! I got into the city around 3-ish and walked over to Javitz. And then I practically walked all the way back to New Jersey because the line for will-call tickets (I bought a last-minute single day pass) went all the way down to the West Side Highway and almost back up to 11th Avenue. But some smart people working for the con, came out to the midway point, where I happened to be standing and started giving out badges. Cool Doctor Who vinyl figures! I spent most of my first day checking out the show floor. One of the first things I saw was the Monster High booth and I picked up the exclusive Weberella doll for my friends Mommy & Gracie. 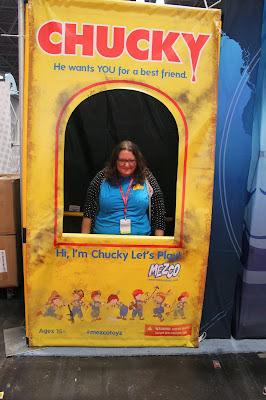 There weren’t as many cool displays as in the last years (no Lego, lame DC & Marvel displays!). But there was still lots of awesomeness to be found, cool cosplaying, and I actually bought a comic book – a graphic novel version of Doctor Horrible. Then I got got check out a screening of some new shows - Almost Human (which was really cool) and The 100 (which I can’t wait to see more of!). 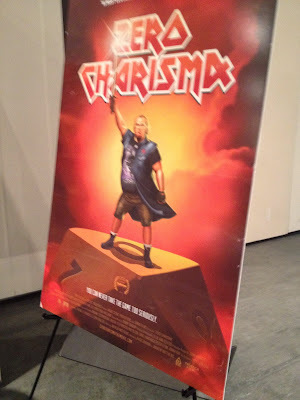 Then I went to see a screening of Zero Charisma, which I found out about because of Nerdist. It’s about a dude who is into a dungeon & dragons-type game and he’s just a loser in life. It was really funny and the director-writer team and star were there to do a Q&A. I got to NYCC before it opened and was waiting at the gates when my pals Mommy & Gracie (and Daddy, too!) arrived. We headed straight to a Mattel panel, thinking they’d have some Monster High news, but it was all about collectible clubs and mostly He-Man. We didn’t know that was such a big thing. Then I made a futile attempt to see the Geek & Sundry panel – you need to get to things early and sit in a room all day if you really want to see something! So I went back up to the floor to meet my friends. 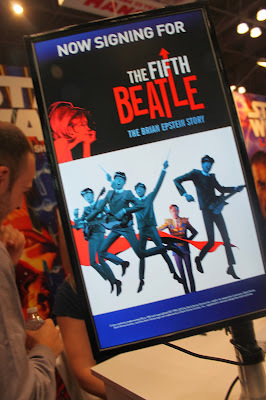 One of the cool things I saw was a display for a graphic novel called The Fifth Beatle, which is about Brian Epstein, and I got to meet the writer and artist. More shopping and checking things out. 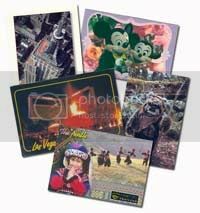 Pony card collecting for Gracie. Custom Lego mini figs for me. After all that, we went to Carmine’s for lunch. We were all pretty beat, so we called it a day. Day 3: Saturday, October 12. M & D picked me up and we took the ferry over to the city. We also ran into my friends Laila and Anton. I knew lots of people going to the con, but I didn’t even see any of them! There were just too many people there! Our first stop was the Doctor Who 50th Anniversary panel, which featured some bloggers, artists and podcasters talking about the show as well as Nicholas Briggs, who writes/directs some of the audio plays and who is the voice of Cybermen and Daleks on the TV show. 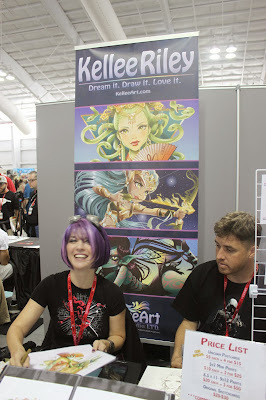 Then we hit artist alley – which is probably my favorite thing about the con. It’s like walking through Deviant Art. So much awesome stuff on display and the artists are just such cool and nice people. 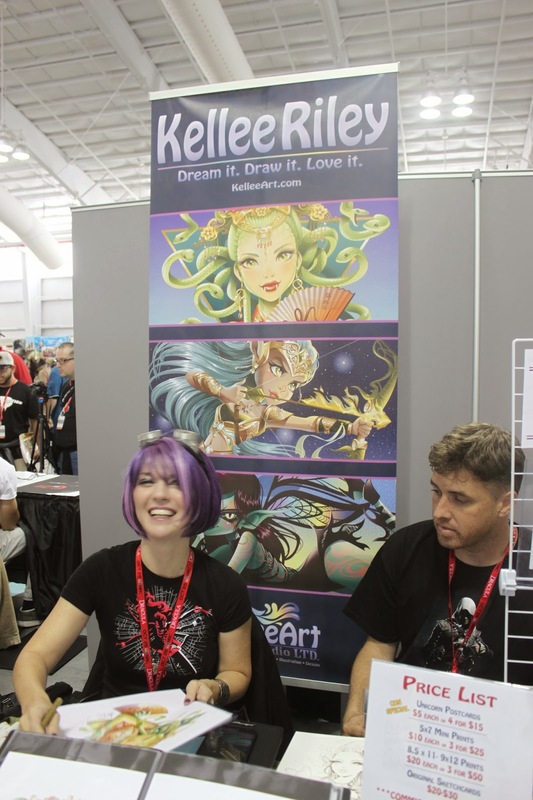 We really loved meeting Kellee Riley, who also draws for Monster High, and JK Woodward, who did the Star Trek/Doctor Who crossover comic books. M totally geeked out on him because these are two of her favorite things in the world and it was totally awesome. I got lots of new prints and even some cute stuff for Maddie’s room. My nickname in high school was Chucky! Back up at the floor, we checked out some of our favorite stuff: Vamplets and the Doctor Who store (where Colin Baker the 6th Doctor was signing). Then we found my friend Jaime, who was doing a signing of a comic book that he illustrated called Prey. I was so excited for him. I gave him his first job as an illustrator for our high school newspaper. He’s an amazing artist. After all that fun, we headed back to Jersey, and had some dinner at a Cuban restaurant here in town. We had such a great day! Got to the con early again. I’m not sure if it was because the crowd was bigger or because it looked like rain, but they had us herded up in Hall B, where I waited for like an hour! Then I waited an other hour to get into the Adventure Time panel. It was so worth it!!!! Penn Ward, John DiMaggio and Jeremey Shada (aka the creator/LSP, Jake the Dog and Finn the Human) were there and the panel was just so cool. It was great to here Penn talk about how inspired he was by The Simpsons (his mom took him to Matt Groening’s house!) and how he based characters on weird friends. Best of all, John DiMaggio sang the Making Bacon Pancakes song! I took lots of pics of Adventure Time cosplayers if you haven't noticed. I spent the rest of the day taking photos of all the cool cosplayers, buying more stuff, checking out The Block, making another round at Artists Alley. It was exhausting but so incredible. The best thing about the con this year was seeing my friends get recognized for doing things they love. I’d rather spend time with them than wait on line to see celebs any day!